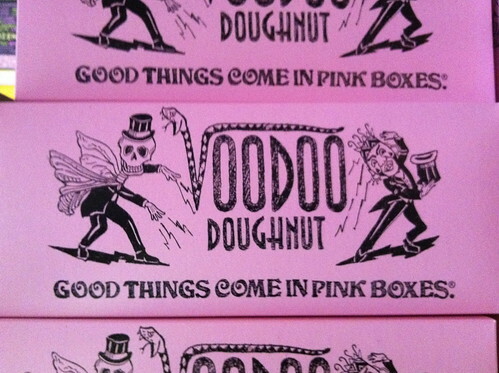 I used to live in Portland so I’ve had the pleasure of these decadent desserts on numerous occasions. Since I was in Eugene recently, I discovered they’ve expanded their empire to this fine college town and the residents seem to have recognized their mastery. Who are the fiends that devise these devilish delights? Well you can read their story here and check out the menu here, but don’t stop there. 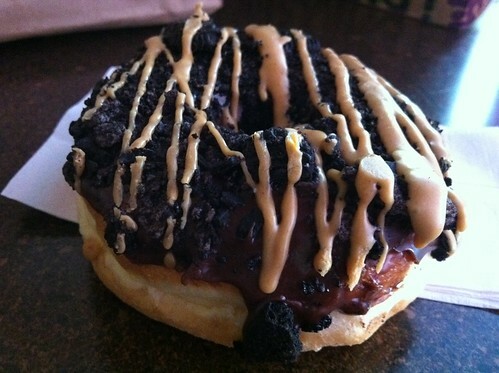 Get off the couch and get yourself a doughnut. 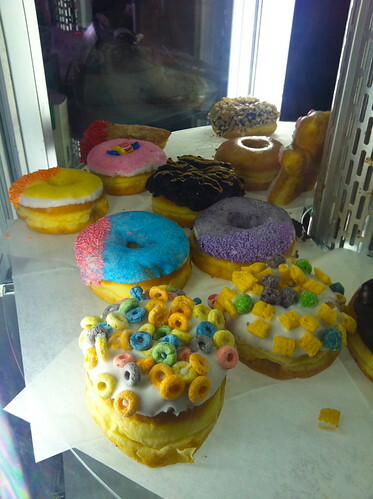 Who puts cereal on a doughnut? Only a genius. 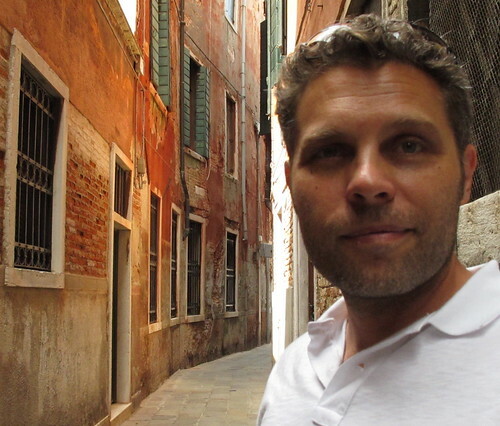 This entry was posted	on Tuesday, August 9th, 2011 at 11:44 pm	and is filed under Places. You can follow any responses to this entry through the RSS 2.0 feed. You can leave a response, or trackback from your own site. 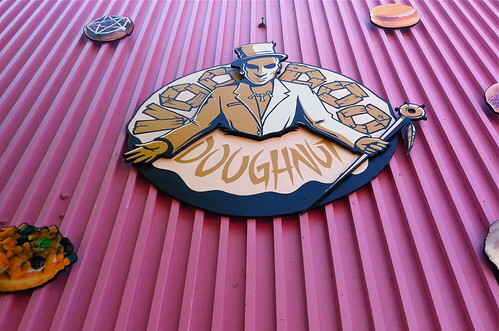 new design on site looks good buddy……ahhhhhh voodoo donuts how did i not try this in two trips to Portland with you…..ughhhhhhhhhhhh!!!!!! Thanks, G. Next time Voodoo will be the first stop. Well, maybe the second after The Concordia to get the firehouse. Only 400 more laps to go & I’ll finally work off that one that I ate. Thanks for the great find Algis!!! I will definitely remember this. 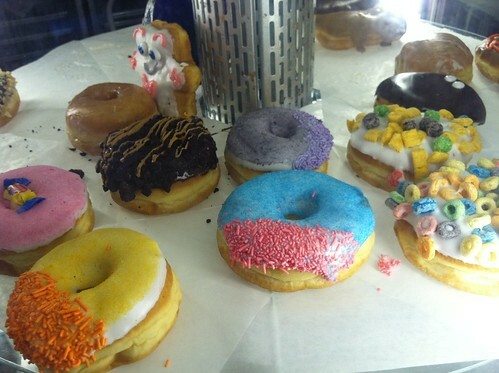 Doughnuts… yummy! !